A few months ago, we took maternity photos with Lex + Grant at the beach. And then around Thanksgiving, the most adorable baby girl was born, Catherine Leigh. We went to go visit the new family of three in their beautiful home in Albany and of course, took photos of their most precious baby girl! We held her in our arms, and could feel our hearts melting as our eyes connected. Welcome to the world, sweet baby Cate! What a doll! © Bowerbird Photography 2012; Newborn Photography in Albany. Mama love! © Bowerbird Photography 2012; Newborn Photography in Albany. Big yawn! © Bowerbird Photography 2012; Newborn Photography in Albany. Cate has such big beautiful eyes! © Bowerbird Photography 2012; Newborn Photography in Albany. Tiny baby hands! 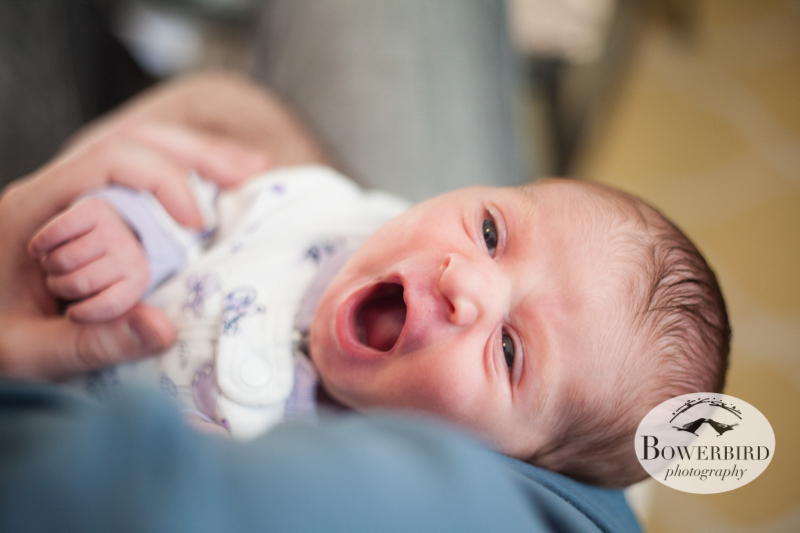 © Bowerbird Photography 2012; Newborn Photography in Albany. Pro hand munching! © Bowerbird Photography 2012; Newborn Photography in Albany. Such a happy family! © Bowerbird Photography 2012; Newborn Photography in Albany. So -- when can we babysit! ?